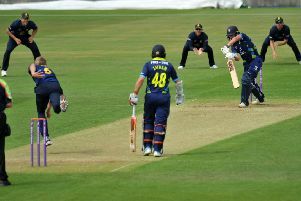 The dad of a leading cricketing umpire has spoken of his delight at hearing his son labelled "the best in the world". 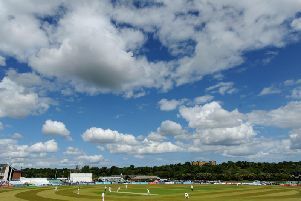 Durham and England cricketer Ben Stokes was bowled over by the response from firefighters when his family's pet rabbit got stuck behind a wall at home. 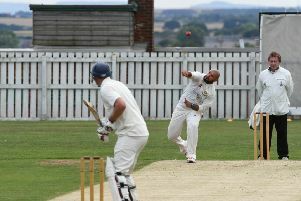 Horden host local rivals Easington tomorrow in what is one of the most significant derby games in recent seasons. 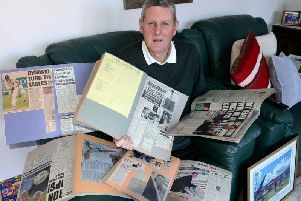 Almost 240 employers who failed to pay the national minimum wage have been "named and shamed" by the Government, with some cases stretching back seven years. 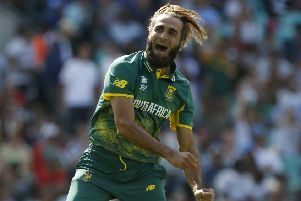 Durham Jets coach Jon Lewis has hailed the “world class” calibre of Imran Tahir after the South Africa spinner penned a deal to join the club for their Vitality Blast campaign. 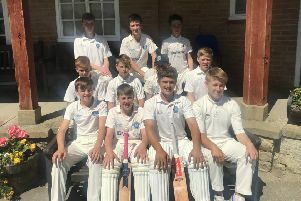 High Tunstall are into the last eight of the National Schools Cricket Championship after a thrilling victory in Yorkshire. 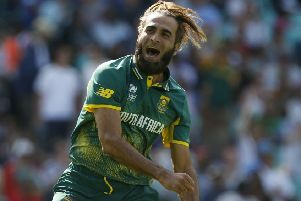 Durham County Cricket Club have signed South African international Imran Tahir for the 2018 Vitality Blast campaign. 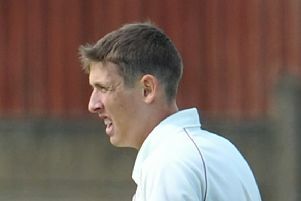 Seaton Carew batsman Paul Braithwaite is looking forward to the ‘amazing opportunity’ of facing Durham’s first team in Hartlepool next week. 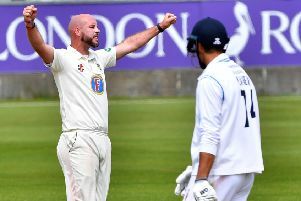 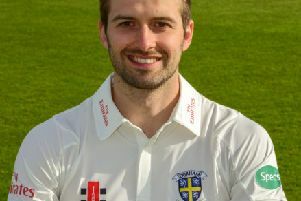 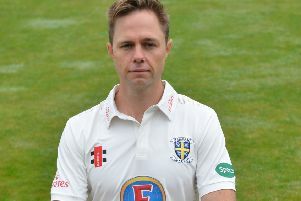 Pace ace Chris Rushworth hailed an ‘incredible success as Durham secured a welcome Specsavers County Championship victory over Derbyshire yesterday. 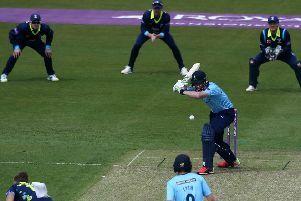 Ian Bell scored a brilliant, unbeaten century to send Durham Jets to a five-wicket defeat in today’s Royal London One-Day Cup match at the Emirates Riverside. 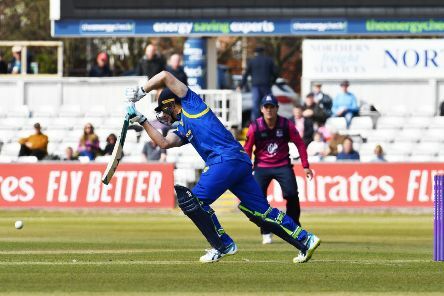 Durham suffered a second Royal London One Day Cup hammering today, leaving them rooted to the foot of the fledgling Group A table. 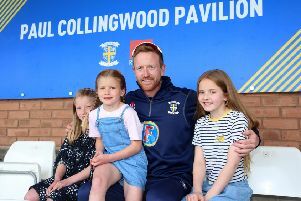 Even at 41, Paul Collingwood is still adapting, still putting himself out there for Durham whenever required. 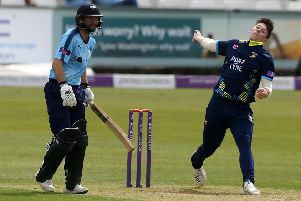 Durham Jets skipper Tom Latham has urged his men not to panic after last night’s crushing defeat to Yorkshire in their Royal London One Day Cup opener. 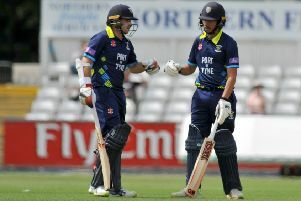 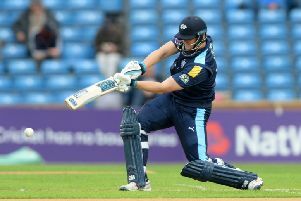 Yorkshire were in a ruthless mood in today’s Royal London One-Day Cup Group A opener, crushing hosts Durham by 142 runs. 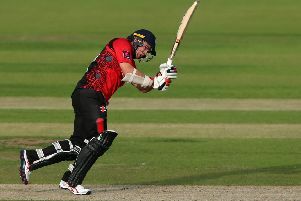 Durham’s Royal London One Day Cup campaign starts tomorrow.